Court rules that neighbor has to pay for drone he shot down. If there’s one thing we know about Americans, it’s that many of them own guns. So it was pretty inevitable that with more and more small drones zipping around, some would get shot out of the sky. But now a court has ruled that if you shoot a drone out of the sky, you’re liable for damages. Ars Technica reports that Eric Joe was visiting his parents in Modesto, California, in November 2014, and was flying a hexacopter drone (which he’d built) over their property. 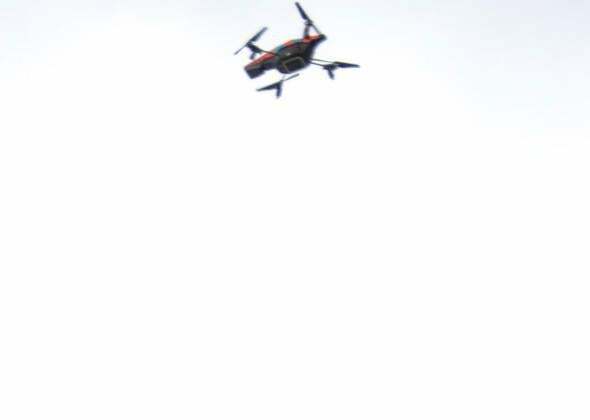 After about three and a half minutes, a shot from a 12-gauge shotgun took the drone down. When he went to investigate, Joe saw his parents’ neighbor Brett McBay coming toward him. “I asked: ‘Did you shoot that thing?’ He said, ‘Yeah, did we get it?’ ” Joe said. McBay said he thought the device was a CIA surveillance drone. When Joe emailed him an itemized list of parts that needed to be replaced on the hexacopter, totalling $700, McBay said he would split the cost. But Joe said he wanted McBay to pay for the damages, and pointed out that the drone’s GPS log showed that it was over Joe’s parents’ property when McBay shot it down. Eventually Joe filed a case in small claims court in Stanislaus County, and last month the court awarded him $850 in damages. Ars reports that McBay hasn’t paid yet, though, and that Joe is considering further action. Laws and law enforcement will evolve as more and more of these specific cases come up, but for now shooting down drones is probably not the most constructive way of expressing opposition.